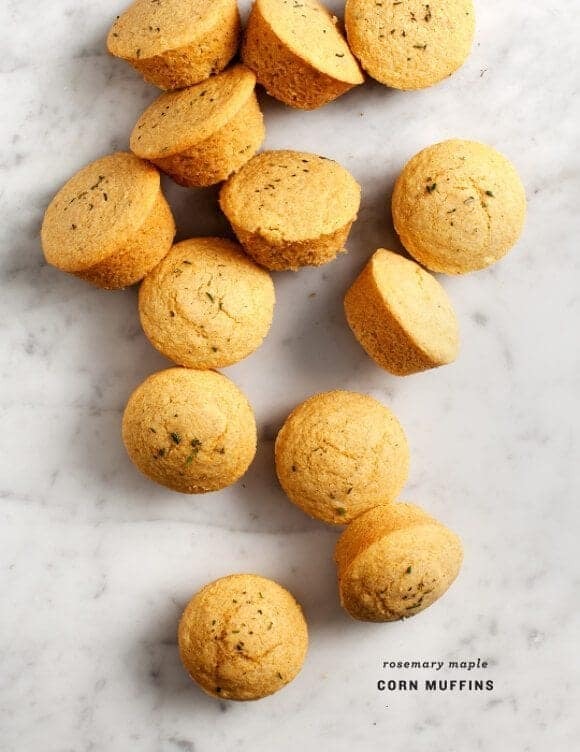 Move over dinner rolls, and make way for… corn muffins! Maybe it’s my midwestern background, but I love corn, especially in the form of these sweet & savory muffins. 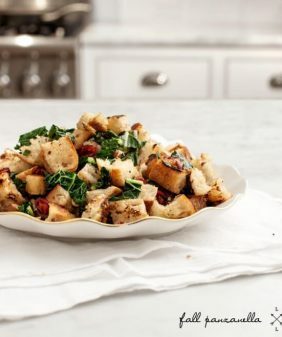 Make a double batch, and set aside the extras to make poblano cornbread stuffing. Happy Thanksgiving & happy baking! In a smaller bowl, whisk together the wet ingredients. Pour the wet ingredients into the bowl with the dry ingredients and, using a wooden spoon, stir together until just combined. Don't overmix. Fill muffin cups ¾ of the way full, and bake 18-20 minutes. Let them cool in the pan for 5-10 minutes, remove them, and let them finish cooling on a wire rack. Oat flour or a gluten free blend will likely work in place of the spelt flour, I didn’t try it so I don’t know what the exact result would be. 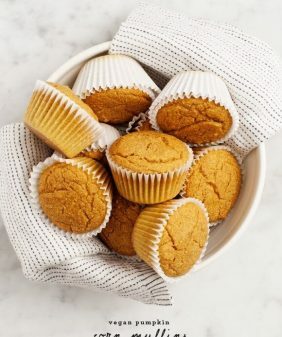 I tried out a variety of types of cornmeal, and I like this one best for the muffin texture. You make muffins and a cooking process look like a piece of art. Beautiful. Happy Thanksgiving to you! Being from the south cornbread muffins were a staple growing up. I love this fresh take on a traditional favorite. I love corn muffins! I usually use honey to sweeten my cornbread, but I like the idea of using maple syrup. The rosemary sounds refreshing as well. the maple is so good! Gorgeous! I love the maple rosemary spin. 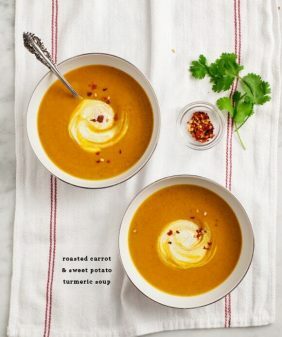 Will try these this winter with chili for sure! These are just lovely! I LOVE cornbread & the rosemary really makes them festive. 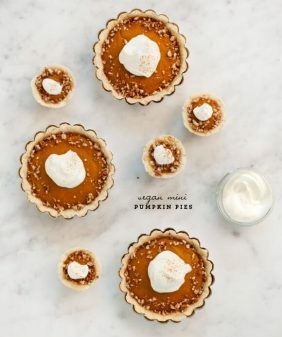 You know, I have found that almond milk is a good substitute for soy or dairy milk in recipes–however, with gluten-free baking if there’s no oil or other fat, almond milk doesn’t quite have enough fat to keep things “bound” like full-fat soy milk does. Have you ever experienced this? I’ve found that soy milk is a better alternative in gluten-free baking, but that’s just me. Thoughts? I’ve gotten away from processed soy products, so I couldn’t really say. But I also don’t ever bake without oil or some kind of fat. (I went through a fat free phase once, so now I fully appreciate a full fat muffin). 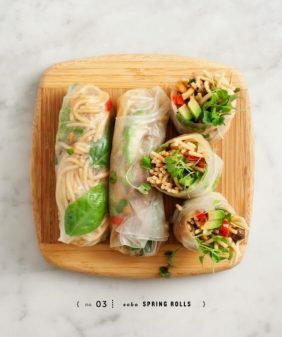 These look beautiful, but is there any way I could make them gluten free? I would really appreciate it! Thanks so much! Gluten free oat flour should substitute the best in place of the flour here. Ooooo, I love the rosemary and maple syrup – delicious. They look pretty too. Ooo these look great! Is the rosemary chopped or left whole? they are the most perfect looking muffins. These look perfect! We’re tackling some challah pull-apart rolls, but now I wish they had some friends in the form of these muffins. Have a wonderful Thanksgiving, lovely! 🙂 Hope they tasted as good as they smelled! 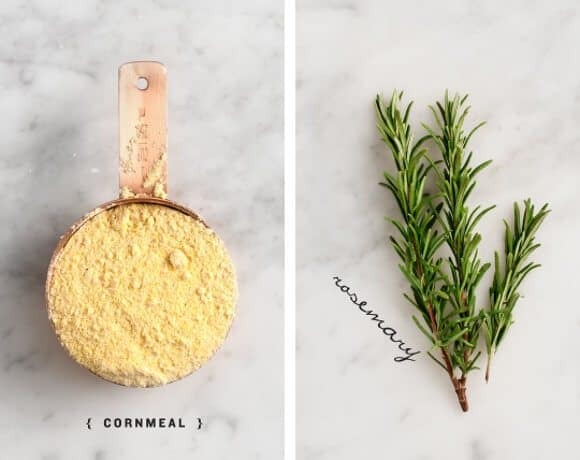 With all the cornbread I’ve made, how is it possible I’ve never added rosemary? Genius, my friend! I just ate one of these and they are fabulous! Thanks for the great recipe. I used Bob’s GF flour mix in place of the spelt flour, and I didn’t have any rosemary so I sprinkled in dried Italian seasoning. I added 1/8 tsp xanthan gum. 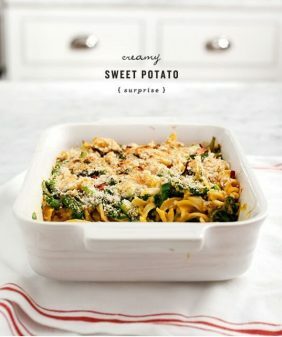 They are so delish – can’t wait to share them with my family! amazing muffins, they taste great! plus, it’s so easy to make. I have made these twice and the family and I just LOVE the taste! But…they just crumble apart. What am I doing wrong? Cooking too long? Mixing too much? Thanks for the advise. Oh- should also add that I made them once with spelt flour and the other time with oat flour and they crumbled both times. Thanks! If I was going to use a mini muffin pan, how long do you think I’d bake for? Thanks! I made these last night for my family, and they were amazing!! They were the perfect compliment to Vegetarian Chili. I followed your recommendation, and I used Arrowhead Mills Organic Cornmeal, and it has such a nice texture. Some of the other cornmeals that I have tried before are too gritty, but this one is so nice. I am eager to make polenta with it. I knew I didn’t want my muffins to be crumbly, so I added a flax egg. The muffins came out soft, with fantastic texture and flavor. They were SO good. I substituted blue cornmeal, because I love the flavor and texture. Thank you so much for the recipe! I’m going to make it for the rest of my life. Delicious!! Not dry at all and not too sweet (as I was afraid it might be). Hi Rachel, I’m so glad you liked them! I made these as directed, but I used coconut oil in place of canola oil and whole cow’s milk in place of almond milk. It did not work at all. They turned out so crumbly that I could not get them out of the muffin tin in one piece. Really enjoyed these muffins. They are good and easy to make. I had them for breakfast, so I left out the rosemary. I also halved the salt and used 1/2 extra dark maple syrup mixed with 1/2 buckwheat honey for the maple flavour. Good maple syrup is too expensive. I thought the batter was too liquid, but everything worked out fine. I baked 12, at 350 in convection oven for 14 minutes. They would probably be good with chopped pecans mixed in the batter or placed on top. Very good with a rosemary-rhubarb jam. Great looking muffins. I will have to try these soon, my rosemary is ready to start harvesting. I have been using very finely ground cornmeal in my muffins & cornbread for several years now. Just a hint for those who are having a hard time getting the Arrowhead Mills cornmeal, check the International section in your supermarket. You may be able to find a very finely ground cornmeal that comes from India. I made these for my celiac husband last night….subbed the spelt for Bob’s Red Mill 1:1 flour and they were FANTASTIC! They were not too crumbly for my taste, so moist and absolutely delicious. They are VERY rosemary flavored (duh-right up my alley) but my mom thought to lessen the 2 tablespoons of rosemary to 1….to each their own. Thank you for a wonderful new take on cornbread. I would never have thought to change them up. The maple was just lovely! I’m so happy these worked so well with Bob’s Red Mill’s gf flour! Thanks for letting me know, I’m so glad you enjoyed the muffins! This has been my favorite go-to cornbread muffin recipe for years! Thanks!